ConceptDraw DIAGRAM diagramming and vector drawing software extended with Electric and Telecom Plans Solution from the Building Plans Area is the best software for drawing the Telecom Wireless Plan of any complexity. All elements from these libraries are hand-picked and professionally designed, so they can help you design professional looking Telecom Wireless Plan which will have a great success when demonstrating. This sample was created in ConceptDraw DIAGRAM using the objects offered by the libraries of Electric and Telecom Plans Solution for ConceptDraw Solution Park. 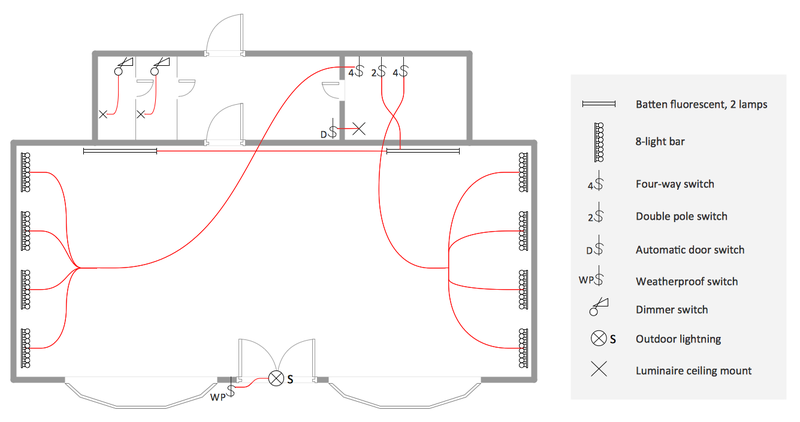 This example illustrates the switches layout plan and is available from ConceptDraw STORE. The good plan is necessity for right mounting equipment. An experienced user spent 15 minutes creating this sample. Use the Electric and Telecom Plans Solution for ConceptDraw DIAGRAM to make your own Telecom Wireless Plan quick, easy and effective. The Telecom Wireless Plan designed with ConceptDraw DIAGRAM is vector graphic documents and is available for reviewing, modifying, converting to a variety of formats (image, HTML, PDF file, MS PowerPoint Presentation, Adobe Flash or MS Visio), printing and send via e-mail in one moment. How to draw Telecommunications Network Diagram quick, easy and effective? 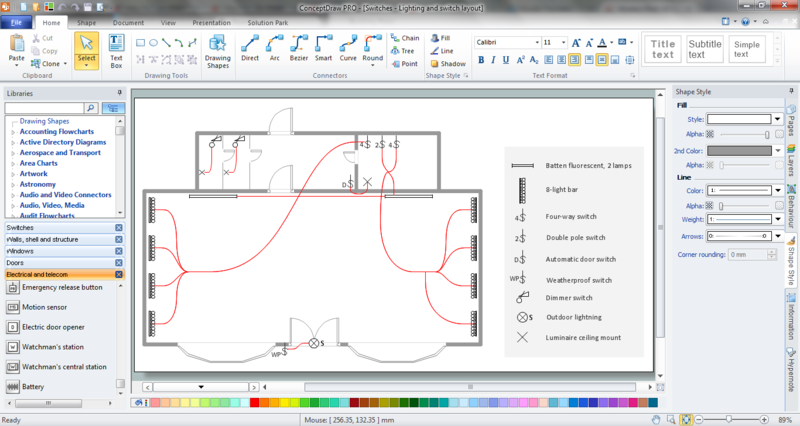 ConceptDraw DIAGRAM v12 offers the unique Telecommunication Network Diagrams Solution from the Computer and Networks Area which will help you.